Dreamfall Chapters is the third game in the 17-year-old series that began with 1999’s The Longest Journey. Taking place across a vast multiverse, this entry has made its way to the latest generation of consoles. Let’s find out if the port was worth the wait. The original release of this game took over a year and a half, as it was episodic in nature. Thankfully, all content is available in this release. Dreamfall Chapters consists of five books. Each of these books can take anywhere from 4-8 hours to complete. As simple math would dictate, this is a rather lengthy game. With a current price hovering around $35, it feels like a steal considering other games with shorter campaigns sell for a full $60. But what good is a long campaign if it’s unsatisfying or, worse still, boring? Well, happily, neither is the case. 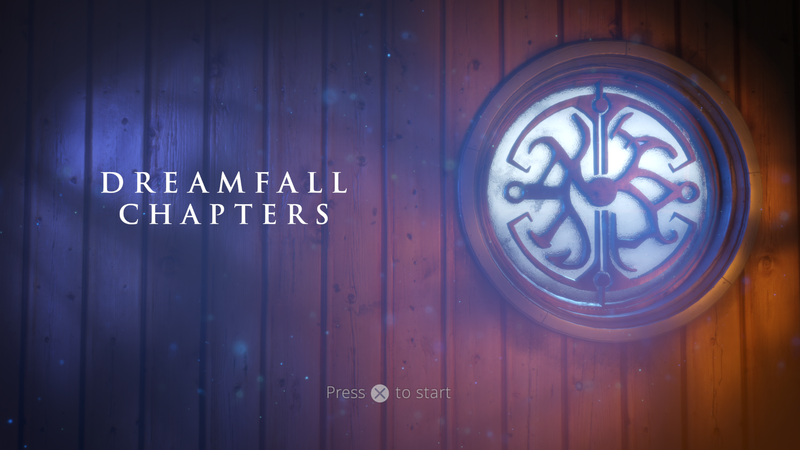 There are three main overlapping stories taking place within Dreamfall Chapters: Zoë Castillo lives in the year 2220, and is now an amnesiac following the events of the second game in the series. Kian Alvane is a former Azadi assassin living in the parallel world known as Arcadia. Finally, Saga is a character who fans of the series will quickly recognize. There is a lot of story to keep track of. This also means that you should expect a ton of dialogue. Everything is voiced, and even inconsequential NPCs have plenty to say to you. The amount of voice work is rather impressive for a game of this nature. There’s even branching dialogue, and a vague “balance” shifting that goes on throughout the game as you make decisions at key points in the game. With the Herd, or Against It? Now, whereas an adventure series such as The Walking Dead shows you how your choices compared to other players’, it usually does so after you’ve already made your choices. Dreamfall Chapters allows you to press Triangle before making a choice to see how others have chosen. This kind of ruins the surprise of seeing how differently you think from the average player (or not), but since it’s optional to see these statistics ahead of time, no real harm is done. Dreamfall Chapters originally released on the Unity 4 engine, but was upgraded to Unity 5 at some point during its original development. The presentation of the technology-oriented world of Stark is a great showcase of this, and takes cues from classic sci-fi films such as Bladerunner, or game worlds such as Deus Ex. Character models can be rough around the edges, but generally hold up fine for cutscenes, even if facial animations are a bit awkward. The magical world of Arcadia, on the other hand, tends to be a bit too dark. While the shift from an electric, blue-heavy color palette in Stark to an earthy, brownish-green palette in Arcadia strikes a nice contrast, it’s a shame that the game’s gone a bit too hard on the moody shadows. Unity isn’t the fastest game engine out there, of course, and this shows during the game’s many loading screens. Developer Red Thread Games kept all cutscenes in-engine, which is admirable if you want to show off your animation chops or keep players immersed. However, there are several points throughout the game in which the action is brought to a halt in order to load a new area. A short cutscene then plays out, and you are presented with another loading screen. It seems Dreamfall Chapters could have benefited from some pre-rendered cutscenes, but there aren’t so many of these instances as to be a total deal breaker. Dreamfall Chapters is a full 3D adventure game, with no real hard-set camera angles to be found. One issue that can pop up when playing this genre on console is interacting with objects. If you are looking in the direction of an object, a cursor will show up only if that object can be interacted with. It’s a little odd having the cursor highlight the exact object you desire in some of the game’s tighter areas, but it gets the job done. There is an inventory system where you shuffle between five items, but its user interface is a bit clunky, and you cannot move if it is being used. Puzzles are a staple in the adventure genre. This is something that can be hard to get right. While you want to see puzzles that present a challenge, ideally the challenge is intuitive enough to flex your thinking muscle, while not so easy that anyone could solve it within seconds. Dreamfall Chapters’ puzzles tend to be fairly easy, most of the time. You usually have to combine a few items or talk to the right person in order to move things along. Sometimes, however, solutions take longer to arrive at because you walked right past some innocuous object that wasn’t obviously meant to be interacted with. This comes with the genre, naturally – you are encouraged to really take in your surroundings, and explore the area in order to ensure you have covered all your bases. Dreamfall Chapters is an entertaining game that will bring about a satisfying continuation of the long-running series. While it has many of the same trappings that most adventure games suffer from – namely clunky controls and occasionally unintuitive puzzles – this is more than made up for with the game’s story. If you’ve been waiting for the full console release of Dreamfall Chapters to continue your adventures in (and out of) Dreamtime, wait no longer and pick up Dreamfall Chapters as soon as you can. Review code for Dreamfall Chapters provided by publisher. Reviewed on PS4 Pro. For more information on scoring, please read our Review Policy here.